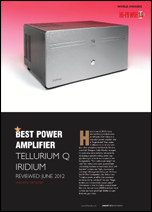 Whilst awaiting the amp's arrival, HifiWorld's 01/2013 issue crowned the Tellurium Q 'Best Power Amp'. A month later former contributor Kari Nevalainen's review hit in his Finnish Innerworld Audio. Then Geoff Merrigan's shipment confirmation arrived, with it some measurements of the actual loaner. One of those was thermal. 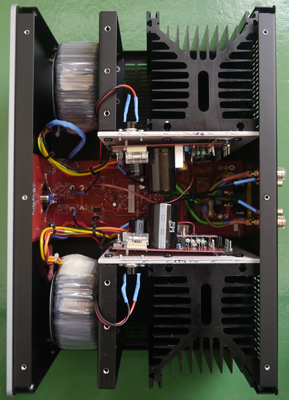 After four hours in 28°C ambient temperatures, the internal heat sinks had measured 56° and 58°C for each channel. Enforced shut-down occurs at 90°C. A phase plot showed basically a straight line from 10Hz to 100kHz. A DC offset graph with open-circuit input noise into an 8-ohm load showed the Iridium 20 to measure just 4.46mV, i.e. lower than the noise from 50Hz fluorescent lights in the inspection room. 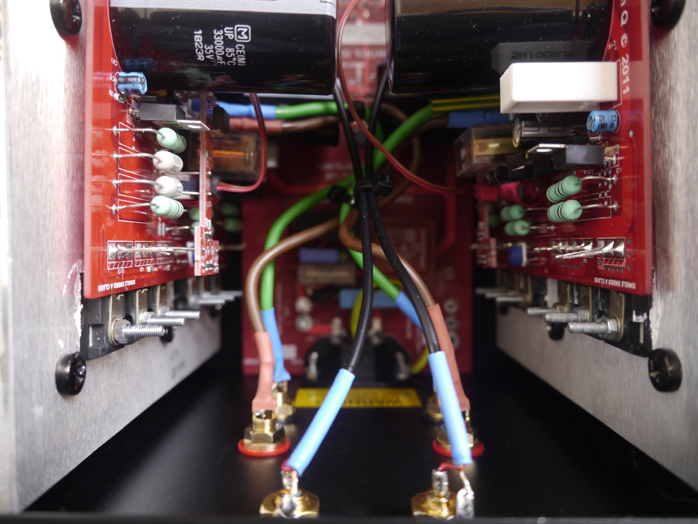 In short this amp runs hot, is linear and generates very low self noise. Whether its transformers would cope 100% silently—Kari had reported 'small internal operational noise' he could hear from two to three meters away without signal—would amongst other things depend on the presence of DC on my power line. Though most punters will catch on, the labeling of two blue rather than black/red inputs as 1 and 2 is bound to surprise. Ditto for the 'only remove this cover after disconnecting the mains' sticker posted inside. Or perhaps the latter is simply British humor. 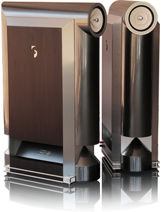 For ideal speaker playmates the arrival timing of the Iridium 20 couldn't have been more fortuitous. That's because I still had on hand Martin Gateley's absolutely brilliant soundkaos Wave 40 widebander with auxiliary Raal tweeter ribbon. And further on the subject, I'd just received Jacob George's latest iteration of his 100dB flagship Rethm Saadhana. Either speaker would usually attract SET devotees like bees gravitate to honey. But since I'd sold off all my valve specimens, two lean transistor bears would have to collect and devour this widebander bounty instead: Nelson Pass' FirstWatt SIT2 and Colin Wonfor's Tellurium Q Iridium 20. With proud single-ended proclamations but a very obvious six transistors per side, was this a multi-paralleled SE circuit or a plethora of voltage gain and regulation devices instead? "The main output devices are two N-channel Mosfets rated at 100VDS/22A/100ºC with a max operating temperature of 175ºC. These Mosfets are forced to current share and driven by a smaller single-ended bootstrap circuit. 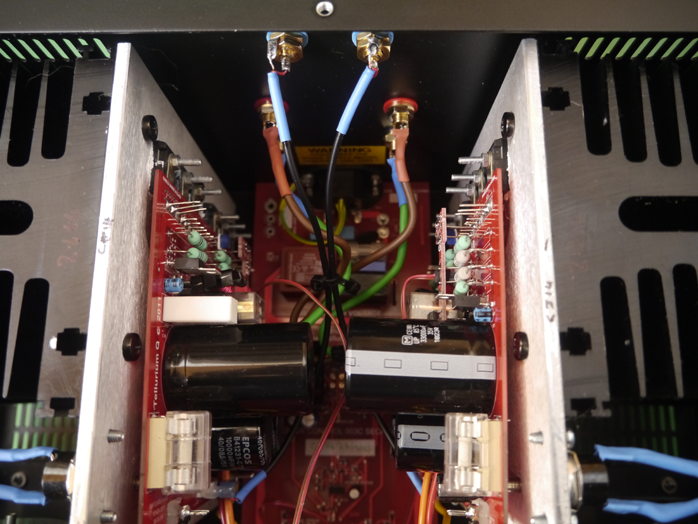 That provides a higher voltage drive rail to the final stage to insure the source-follower Fets are fully turned on. Two 100V@10A Darlington transistors are constant-current loads. Two low-drift opamps with very stable voltage reference act as precision current control for the Darlington pair via a high-current driver to remove under dynamic conditions any base-current starvation from either base collector capacitance or the dreaded Miller effects. "The 2.7A quiescent current is shared between both Darlingtons within a few milliamps of each other. This also creates better thermal stability. A complementary pair of 15A/200V PNP/NPN transistors provides a regulated power supply with 6A current limit protection to provide a soft voltage shut-down. 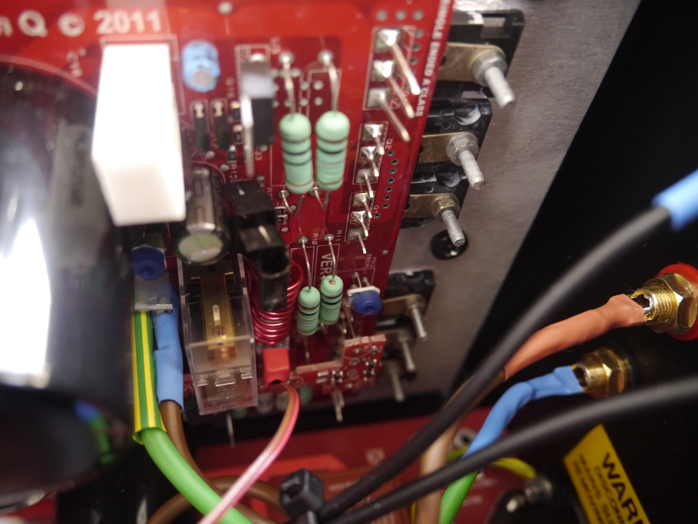 The regulated power supply minimizes hum and ripple on the output where SECA designs are very poor at rejecting ripple and larger bulk capacitors would add hugely to size to get equivalent performance. 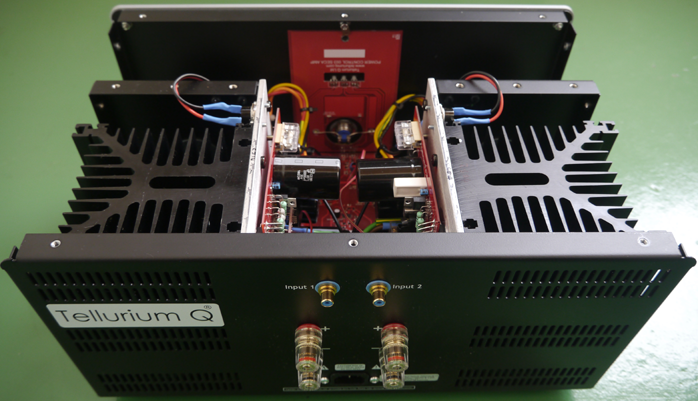 "To improve dynamic performance, the zero-volt reference for the regulated power supply moves dynamically when the output of the power stage reaches approximately 75% of max output voltage. In static and low-level conditions this reduces the total amount of heat in both the Mosfets and the constant-current load. 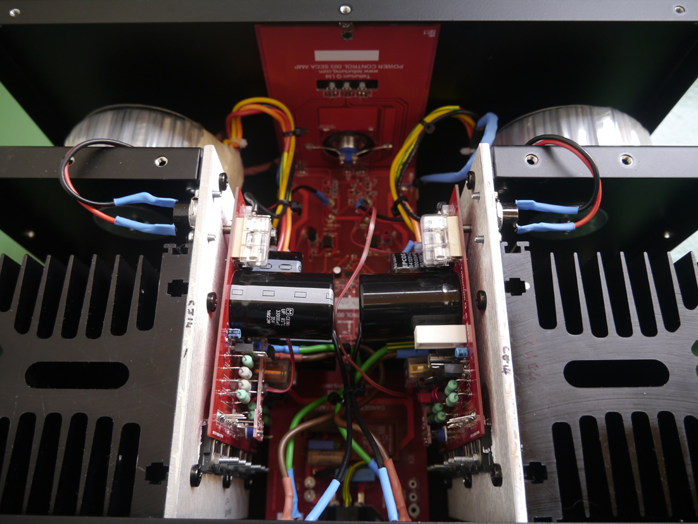 The soft-start speaker relay only operates when both positive and negative voltage rails are fully functioning." Versus the FirstWatt, the Iridium 20 distinguishes itself with less polished build quality including a very ringy top cover; two smaller power transformers for true dual mono rather than a single big toroid; internal rather than external heat sinks; and a rather more complex circuit with tracking power supply than the SIT2 I'd use as audition comparator.